Mommy's Favorite Things: Limeapple Back to School SALE! 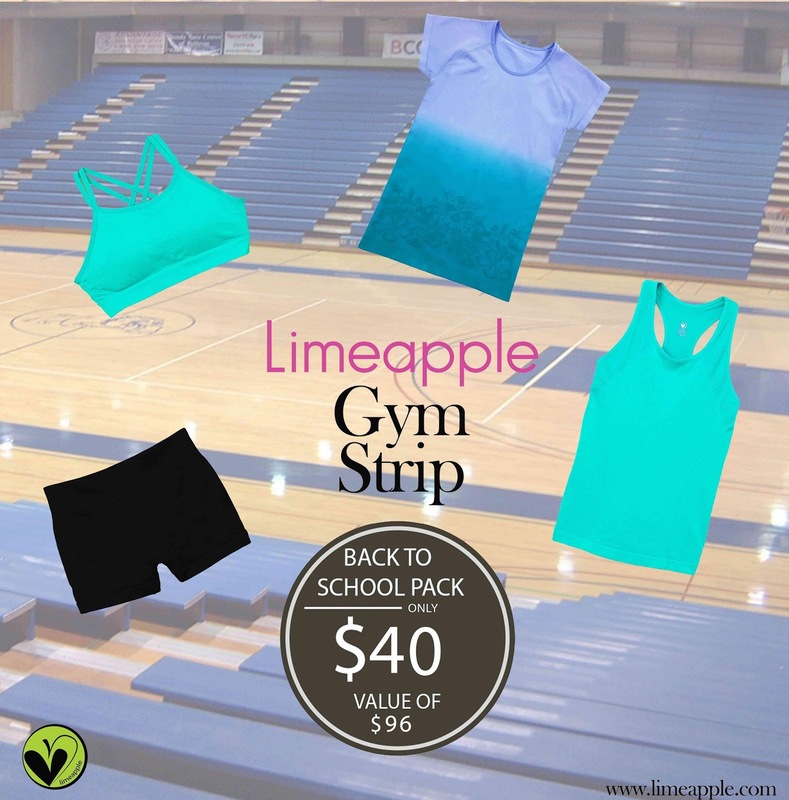 Limeapple Back to School SALE! I was compensated to write this post! We have quite a few items from Limeapple now and we love them all. Their items are soft, high quality and they last a long time even through wear and washing. 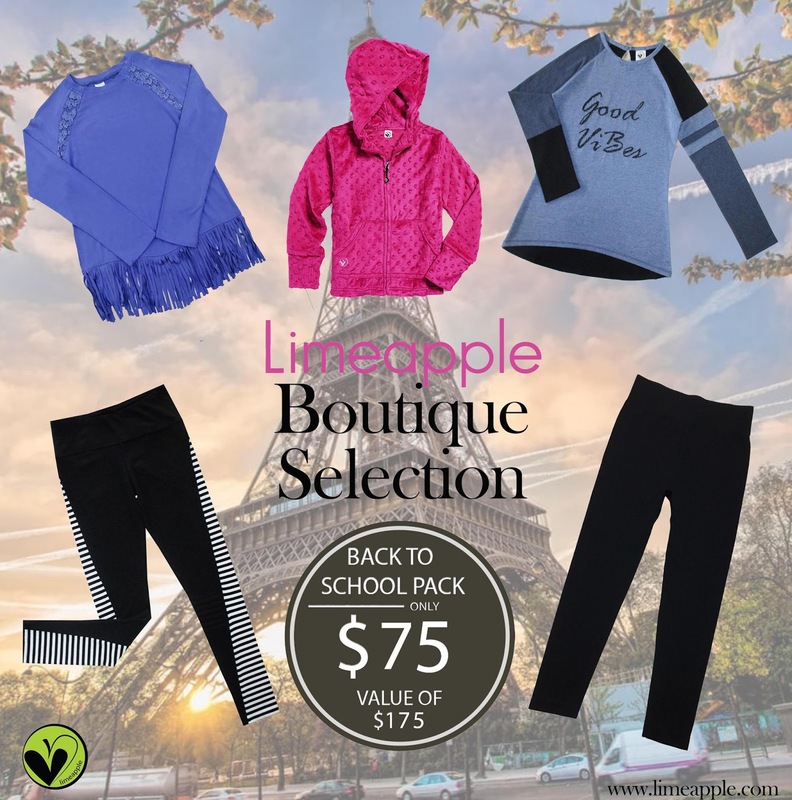 My daughter wears her Limeapple items constantly and they're all still in amazing shape! I wanted to take advantage of the newest Back to School Packages they have right now and we chose this top one, the Boutique Selection, just $75 in the US ($95 in Canada), comes with 2 long sleeve tops, a bubble hoodie and 2 leggings!! Perfect for Back to School Comfort! 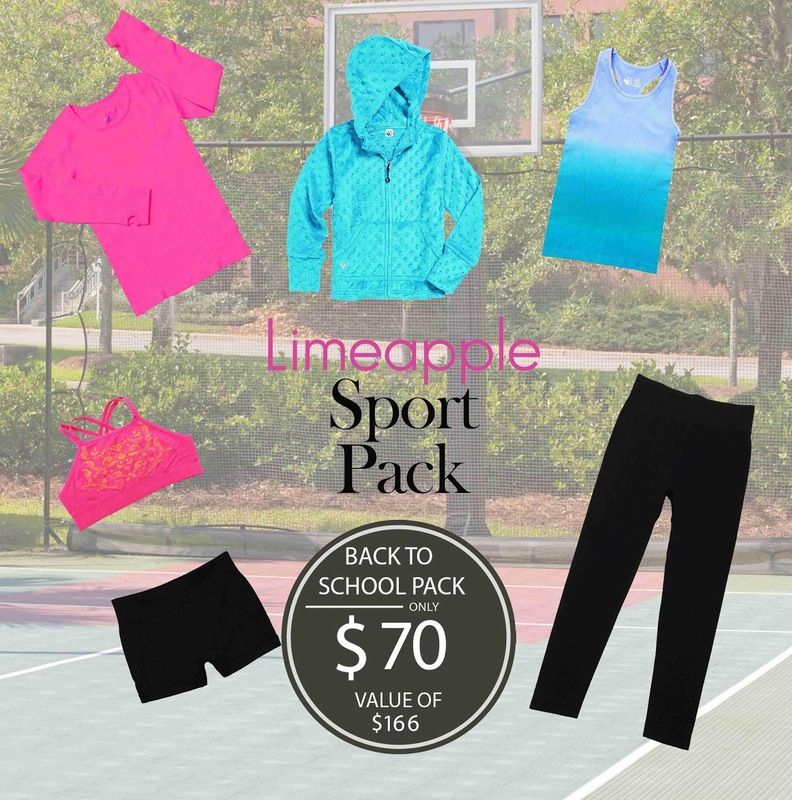 and lastly the Sport Pack which is $70 US ($90 Canada) and includes a tank, long sleeve tee, bubble hoodie, sport bra, shorts and a pair of leggings! Awesome styles packed into Packs to save you tons of money!! Perfect for Back to School Shopping and they have a great selection for the type of girl you have (sporty, gym, or just everyday casual). We love Limeapple and I hope you will too!! !